Bula fellow car enthusiasts. It is with great anticipation that the executives are looking forward to the first race event for this year as it is the first event that will be held under the Fiji Motorsports Association banner. 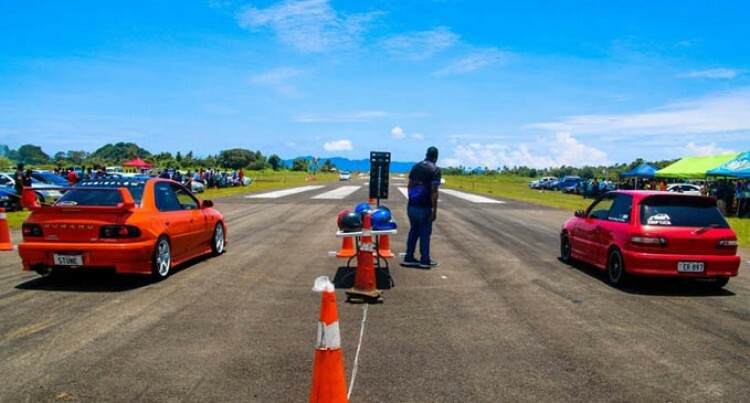 The first leg of the Pacific Energy Drag Race series will be held tomorrow at the Nanuku Aerodrome in Pacific Harbour. While the executives are aware of the low pressure system currently affecting Fiji, the race is still scheduled for now but any decision to call off the race will be made at 7am on the day of the race. As you all are aware, we have just transitioned from Fiji Car Club to Fiji Motorsports Association. We will need participants and interested members to come in and register well before the event starts. All racers are advised that the race proper will start off at 11.30am due to flights landing which means we will be strictly closing race entry at 10.30am. Late entries will not be accepted. Registration will start off at 8.30am outside the arena and we urge everyone to come as early as possible. We will strive to have a minimum of three runs, however, the Notam expires at 4pm and the decision to make the number of runs will be made on the day. FMA will only allow members to race hence it is important to first become a member before you can participate. If you do not become a member, you will not be allowed to race. As this is a new season and new year, all membership from previous years has now lapsed. Old members will need to renew their membership by simply paying up the membership renewal fees. As such, why we are requesting new members and participants to come early so as to ensure a smooth process as we anticipate a lot of new membership for the new season. Also note there are a few changes to the registration process which we have now introduced and is compulsory. One of this is we will require you to either bring a passport size photo of yourself if you want to become a member. Or alternatively, we will take a photograph of you at the event and later attach it to your membership form. Pre-registration will also be done on Saturday by our assistant secretary, Moeez Shah. You can contact him on 9530972. Once again it is important to emphasise how the racing will work. After becoming a member, the first step will be scrutineering of the vehicles. Any vehicle before racing will be thoroughly checked at the venue before approval is given for race. After this, you will register your details for racing before being allowed inside the race premises with your vehicle. It is important that you dial in to your appropriate race category(s) that you will be racing in when filling out the race entry form. Alternatively, you need to dial in the race category after your first round depending on your timing. Remember, once you dial in into a particular category, you cannot change it. We once again encourage all drivers to take extra precaution when driving. With yet another week of bad weather anticipated, we urge all drivers not to risk and drive in flooded areas. It’s better to wait for a few hours than to lose your life or your loved ones in a matter of minutes. We also urge drivers not to take the laws into their hands. Those members and spectators who will be coming down for the drags are requested not to speed and risk the lives other innocent road users and their family members. All drivers need to at all times exercise road courtesy. 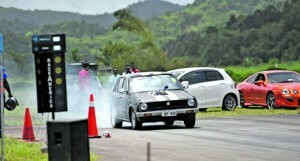 This is a regular column by the Fiji Motorsports Association. Rahul Rajesh is the secretary of the association.